Hello everyone, this is Mizuki Nomura. 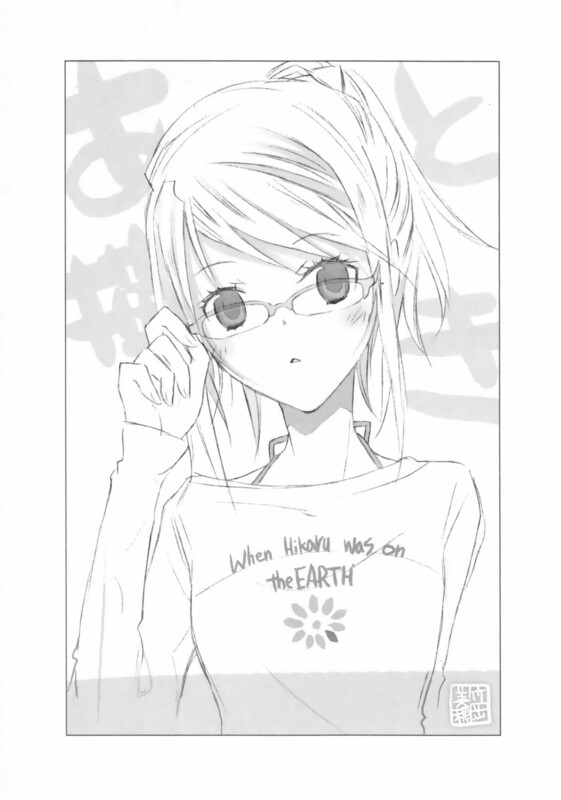 The 9th volume of ‘When Hikaru Was On the Earth… is about ‘Rokujō”. The cover this time follows up on ‘Suetsumuhana’, a mysterious person! Well, everyone finally got a chance to see that it’s really an alluring, wonderful person. Miss Takeoka’s blue artwork is really pretty, but to me, her red artwork brings an impact that differs from blue, and I really like it too! Ah! Speaking of which, Miss Takeoka’s yellow artwork does give a warm, fuzzy feeling. I suppose I do like all of the color works Miss Takeoka does. (laughs). This story has finally developed till this point, and all that is left is the final volume. I did mention in the 1st volume that this story is derived from ‘Genji Monogatari’ and one other story. Having read the final volume, surely you will be able to realize what that title is. On a slight change of topic, I did mention to everyone in the 4th volume of ‘Dress’ that the final volume of Mr Rito Kousaka’s ‘Book Girl’ manga adaptation will be sold in November. It includes a final chapter created by him, and I would say it is a suitable creation to end off the ‘Book Girl’ series. I really do thank Mr Kousaka for his care, that he was able to summarize the lines in the original work under his pen. It is beautiful, and I really thank him from the bottom of my heart. The interesting dialogue between Tohko and Konoha really did amuse me. This really is a heartwarming yet painful final chapter for me, and I do wish everyone do read it. Having read this final chapter, the ‘Book Girl’ series has finally come to an end, and I’m really gracious about it. ‘This series is a fortuitous work where all sorts of things happened, and all that were involved in the work really liked it; everyone put in their love into this work, making it a great work. As a result, this is why I am happily sharing the media mix of my work. Now the only thing I am anxiously looking forward to is a live-action movie adaptation. If the actress acting as Tohko is my favorite, I will have to see it! The ‘Hikaru’ series is left at the last volume, but I have to announce a new series once it ends! 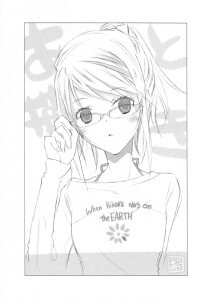 The illustrator, of course, is Miss Takeoka. Atmosphere-wise, it does feel something similar to both ‘Book Girl’ and Hikaru’, healing-type series, and the themes involved are ‘vampires’ and ‘club activities’. It is a club that most schools will have, so please imagine what kind of club it is until the volume is to be sold. The new work has about X volumes worth of manuscripts. I was able to prepare this much beforehand, so I still have some time to prepare for it. I can continue to write a volume and some side stories. They will be sold once the new series is sold. The 5th volume of ‘Dress’ and the final volume of ‘Hikaru’ will be sold next Spring. It will be a long series of publications thereafter, and I will be delighted if you can buy them. I look forward to meeting you again in the 5th volume of Dress’. Haruno Nishino, 1998, ‘New Japanese Classic Literature series 57. 100 Noh Songs’, Iwanami Bookstore Corporation.